The stories below illustrate the difference Tekes are making with the help of Foundation scholarships and grants, and why Fraters and friends choose to donate to the Foundation. Want to share your story too? Frater Tim Taschwer walked into his dorm room at the University of Wisconsin-Stevens Point and immediately knew he was going to be a Teke - an 'Aha!' moment as he calls it. Tim had laid his eyes on a TKE banner that was hung inside the entryway by his roommate and the rest was history. "That was the start of everything," said Tim. "Tau Kappa Epsilon became my family." He became immersed in the history and traditions of TKE, while its espoused values and ideals were an affirmation of his own convictions. Since then, Tim continued to stay engaged with the Epsilon-Nu chapter in any way he could as a collegiate member. "I was the campus photographer for school and took photos of clubs and organizations," Tim recalled. "It was a great way to recruit and it helped me pack TKE in the yearbook during those days." Shortly after, Tim was selected to serve as Prytanis his senior year where he caught the attention of the Offices of the Grand Chapter. Tim served the Fraternity following graduation as a traveling consultant where his travels took him across the country. "When I traveled for that year and a half, I felt a common bond that I shared with all the Tekes I met along the way." Tim's career path took him into the charitable non-profit sector where he served in management roles with Easter Seals, first in Wisconsin and then in New Mexico. All along, he remained active as a TKE volunteer at the local, province and national levels. After some twenty-nine years the strong bond that he felt for TKE led him to return to the national staff level. His professional non-profit expertise prepared him well for the role he was about to undertake as he was named the first president and chief executive officer of the TKE Educational Foundation (TEF). His challenge was to lead the restructuring and management of TEF. Over the following decade the Foundation evolved into a viable partner with the Fraternity for the benefit of all Tekes. "The alumni kept me going and the young guys on the professional staff kept me going," said Tim. "We all knew that we needed to accomplish something and by reconnecting with our alumni we knew that we could support our membership in a meaningful way." Tim knew that the responsibility of running a successful organization started with him. As CEO, he led by example. "When you're asking others to support your cause, you first need to make an investment in that cause yourself." The contributions he made are a testament to the support he had for the organization he represented. Tim's support for the TKE Educational Foundation continues to this day. As a gift to the Fraternity, Tim has shown his commitment by also making a planned gift bequest to the Foundation through his estate trust. "When you have benefited from an organization most of your life there's no doubt that giving back is a priority. It's a perfect way to make a difference in someone else's life." When was the moment Frater Taschwer dedicated to make such a generous contribution to the TKE Educational Foundation? "People always ask me what my 'Aha!' moment is. I had it when I walked into my dorm room as a freshman. It's been a part of me ever since." Tim's story of Tau Kappa Epsilon has come full circle as he now resides in Stevens Point where he first found Tau Kappa Epsilon. Click here for more information about making a bequest. Frater Bruce Melchert has been serving the Fraternity since his initiation into the Beta-Theta chapter at the University of Missouri in 1954. From traveling consultant to executive director to Grand Prytanis, there has not been a stone left unturned in Frater Melchert's mission to build Better Men for a Better World. Walking into a room, Frater Melchert’s aura serves as the epitome of the Fraternity and all that it represents, a walking time capsule in ways. Unfortunately, a number of individuals have never heard of Past Grand Prytanis Bruce Melchert. Most Tekes are not aware of the man who redefined what it means to be a Frater. They don’t know about the youngest CEO in TKE’s storied history or the measures he had to take to overcome society’s skepticism of fraternities in the '60s. When taking time for an interview, Frater Melchert kindly answers every question about his current state of giving, but before too long, the real conversation emerges. Stories of experiences with collegiate members and engaged alumni bring a new emotion to the façade of the man with every story in the book. It’s not about what he is doing for himself as much as what he has done for the Fraternity. His personal life today is great. There are stories of sailing adventures and decades with his loving wife by his side, but what he wants to talk about is what he is still doing to stay connected with the Fraternity. With an insatiable appetite to aid Fraters of today and Tekes of tomorrow, Bruce Melchert is an iconic figure to those who truly understand the manner in which he has served the Fraternity. With a mission to promote academic achievement and strengthen moral, social and community values, the TKE Educational Foundation has been supporting Tekes for the past several decades and has provided countless opportunities to individuals looking to develop their abilities. To further TEF’s reach and appearance, Frater Melchert has made a financial commitment to the TKE Educational Foundation that will allow the Fraternity’s storied history to be properly displayed in the newly constructed Heritage Center. With 116 years of history that is mostly in boxes, this gift serves as a reminder of the rich history we share with past and future Fraters. Frater Felix Bishop is a veteran residential real estate Broker in the Greater Memphis area. He's a Vice President with Crye-Leike, Realtors, the fifth largest broker in the United States. He's also a past president of the Multi-Million Dollar Club of the Memphis Area Association of Realtors. And yet, despite his prominent commitments, Felix still finds time to be an advisor to his TKE chapter, Pi-Epsilon, at Christian Brothers University. In fact, Felix has been shepherding his chapter for 32 years, which is one of the reasons why they been recognized several times as a TOP TEKE CHAPTER. Felix understands the value of investing – in real estate and in TKE collegiate. A consummate and loyal TKE, Felix has also thoughtfully invested in the future of his chapter and the TKE Educational Foundation by designating both entities as beneficiaries (a percentage to each) of his life insurance policy. Life insurance makes a wonderful gift to TEF because it is quickly sent to the beneficiary. Many people have life insurance policies they no longer need to leave to heirs, and this makes a meaningful and lasting legacy to TEF. Felix says about his generous gift, "TKE has been so important in my life, and my career, that it was natural to want to leave a lasting legacy, which is why I took the time to make this gift and to notify the TKE Educational Foundation." To find out more about how a gift of insurance can benefit the Foundation, please click here. Frater Richard C. Ernest, better known as Ernie, is a Frater who is as kind as he is passionate. As a generous donor, Ernie’s roots with Tau Kappa Epsilon originated from the Beta-Mu chapter at Bucknell University, and through a successful professional career, and personal generosity to match, Ernie is recognized as one of the Fraternity’s all-time leading donors. Ernie joined the Beta-Mu chapter during a time of international turmoil and political unrest. The Vietnam War was taking place and men looked to join organizations as a way to cope with the current state of affairs. "I wanted to be with as many people as I could as the political dilemma unraveled," said Ernie. "I found comfort in ritual and other aspects of the chapter. Tekes were a great group of men and made my collegiate experience what it was." The impression Tau Kappa Epsilon left on Ernie was one he could not easily shake. Not ready to move on from the Fraternity that helped him in so many ways, Ernie joined the Beta- Mu chapter Board of Advisors in 1972 while attending graduate school and working a full-time job. Some 25 years later, Ernie saw a change in his home chapter. The men of the Beta-Mu chapter lost their way and the Board of Advisors was forced to close the chapter house to the university. As time passed, the Offices of the Grand Chapter worked to revitalize the Beta- Mu chapter by sending two representatives to Bucknell to gather a new core group. Previously involved alumni were also welcomed back and were reengaged with the chapter. "I saw how the International Headquarters stepped up and helped Beta-Mu become a Top TKE Chapter," said Ernie. "I started getting more involved after that and I found that the TKE Educational Foundation was the best opportunity for me to give back." 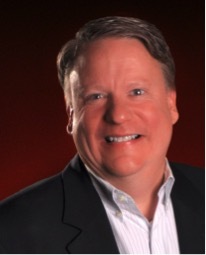 Ernie capitalized on the opportunity and joined the Board of Directors of the TKE Educational Foundation in 2004. Six years later, Ernie was elected Chairman of the TEF Board of Directors, a position he held until April of 2014. Today, he continues his involvement in the honored role of Chairman Emeritus. Ernie explains that he continues to dedicate time and resources in hopes that Fraters will always have the opportunity to further advance their leadership and management skills as the Fraternity helped him in such ways. In Ernie’s eyes, the value of leadership as taught by the Fraternity is unrivaled, “My Bucknell education was in chemistry, and that was certainly helpful in that field, but I realized how inadequate my college education was in regard to managing people and how exceptional my fraternity education was in that regard.” Many years ago, Ernie established a life insurance policy naming the TKE Educational Foundation as his beneficiary. He has also encouraged many others to follow his example. "There are so many good, worthy causes out there there, but you should donate to an organization that has touched your life in a positive way; TKE is such an organization," said Ernie. "When you donate, you can have confidence that each and every dollar will have an immediate and meaningful impact on the lives of undergraduate Tekes across the nation! You can make a difference!" Click here to learn more about the gift of Life Insurance. 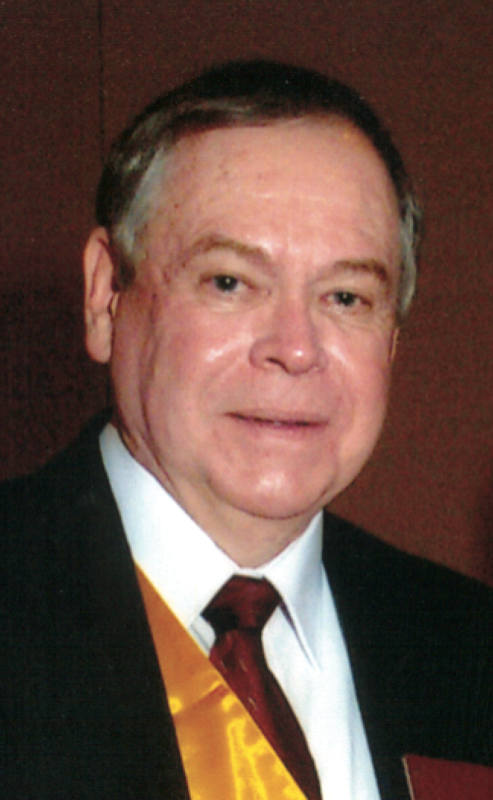 Frater Gregory Taylor served as Hegemon and Finance Chairman of the Theta-Tau chapter at Mankato State University before graduating from college in 1969. He continued to give back to TKE by serving as the “house father” at the University of South Dakota, as a Chapter Advisor at Mankato State, and on the staff of TKE, visiting chapters in the West. Frater Taylor was honored at Conclave in 1974 and earned a Juris Doctor (J.D.) from the University of San Fernando Valley School of Law in 1976. All the while, Frater Taylor regularly made annual donations to the TKE Educational Foundation. 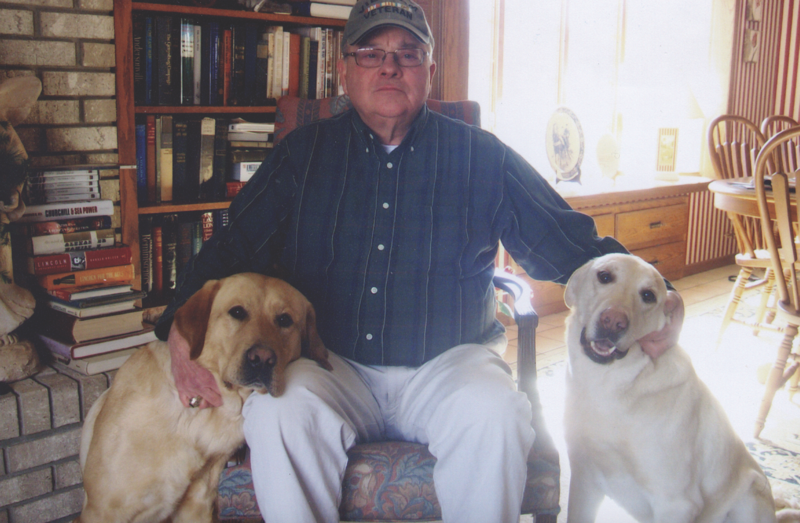 After his time as a staff member—while serving a grueling tour of duty as a combat intelligence analyst in Vietnam, raising three young children and starting his career, Frater Taylor continued to give. However, one year his year-end donation came late, resulting in Frater Taylor missing his consecutive annual giving to TEF. He recently wrote a letter to TEF, explaining his frustration with the situation. TEF President/CEO Gary Reed spoke with Frater Taylor on a way to address the situation. "I was so moved by Gregory’s story," explained Reed. 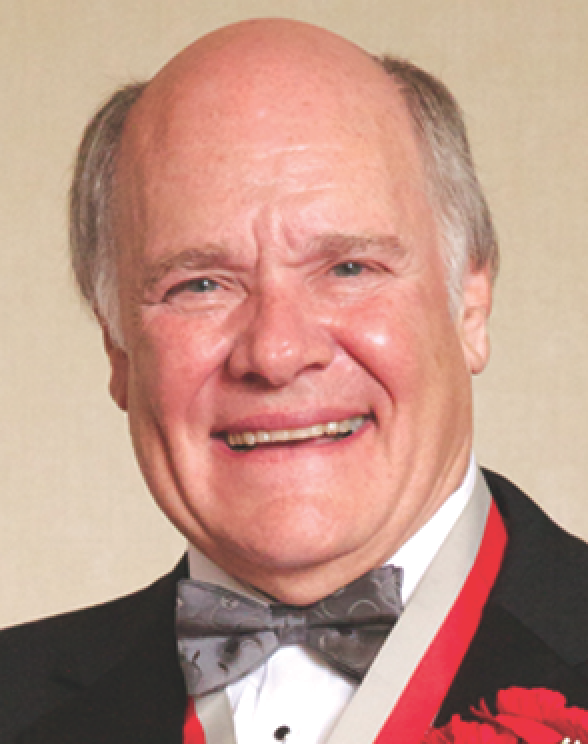 "He is truly one of the gems among our donors, and we are deeply grateful for his lifelong commitment to TKE Nation." Today, Frater Taylor lives in Marshall, MN, with his wife, Nadine. Together, they have three grown children—Brittney, Tavia and Chapman—as well as two yellow labs. He’s proud to be a TKE alum and enjoys visiting with fellow Fraters from Mankato State whenever possible. Part of our ritual describes our Fraternity as the “Fraternity for Life.” As I enter into the sixth decade of my life, I find that phrase to be very true in a number of ways. Some forty years ago, I made friendships with Fraters whom I shared an undergraduate experience. Little did I know that many of these friendships would develop into lifelong relationships. These Fraters I befriended joined me in both celebrations and tribulations throughout my life. Many attended my wedding, some of whom were in the wedding party. As my life progressed, they were with me to celebrate the birth of my children and support me when my parents passed in a tragic plane crash. To this day, my very best friends are the Fraters who I met as undergraduates forty years ago. In addition to cherished friendships, the Fraternity provided me with opportunities to learn. Not only do you gain experience through the principles of organization and management as a chapter official, but also how to lead groups of young men to achieve common goals. As a chapter Prytanis, I learned to manage and grow what essentially was a small business. The lessons I learned were invaluable as I entered the workforce. Most of my career was with the newspaper industry. I started at the bottom of an organization supervising newspaper boys and eventually landed at the top job: newspaper publisher. I enjoyed serving as publisher of four daily newspapers for almost 20 years, leading them all to record sales and profits. I truly acknowledge that a part of my business success came from the lessons learned from my experiences with Tau Kappa Epsilon. Forty years ago there were TKE educational conferences to attend. I remember attending a time management workshop based on Alan Lakein’s book, "How to Get Control of Your Time and Your Life." I still use those organizational skills today. Just a few years ago I ran into a Frater from my collegiate days. One of the first things he said to me was, "Hey Fritz, do you remember the 6 P’s of Management?" I responded, "Of course, Prior Planning Prevents Piss Poor Performance." We had both learned that little phrase during that workshop almost forty years ago. He said he had used that saying many times over the years when he was running a company or serving on a board, and whenever he would encounter someone who wanted to do something without any planning or forethought, he would stop them in their tracks with the 6 P's of Management. I had to admit I did the same thing. Here was something we both learned at a TKE education workshop some forty years ago and it was still impacting our lives. Better Men for a Better World! Frater Fritz Jacobi is a proud member of the TEF Heritage Society and has shown his commitment by making a bequest to the Foundation. Many times, the Foundation has shared the impact that a scholarship award can have in the life of an undergraduate Teke. We thought you would like to hear about the meaning of the TEF scholarship program to Viraga Perera, the 2013-14 winner of the Charles R. Walgreen, Jr. Scholarship Award. As an international student, college in the U.S. was a fresh start – as fresh as could be. I decided to forgo an opportunity to attend college in Sri Lanka in order to fly halfway across the world to Widener University. I knew that I wanted to immerse myself in this new culture, and make deep and fulfilling friendships during my four years at Widener University. When I decided to forgo the unique and rare opportunity to attend college in Sri Lanka, I knew that I had put my parents in a tough situation. The prestige associated with and the lack of financial strain imposed by the free education provided within Sri Lankan universities meant that my parents never wanted me to attend school anywhere else. However, led by the hope of gaining a more liberal education, I decided to drop the opportunity and apply to U.S. colleges and enrolled at Widener University in the fall of 2011. Many financial difficulties remained unresolved and the burden was primarily on the shoulders of my parents. In order to ease this financial stress, I decided to move off-campus and work 15 hours each week – the maximum allowed for international students. This cut the costs drastically, yet not enough for it to fall comfortably within my family’s financial means. I decided to share the above to indicate to you how much of an impact your gift has had in alleviating much of my family’s financial burden for the coming semester. My experience at Widener, and in Tau Kappa Epsilon, has been absolutely wonderful so far, and your generosity has helped better ensure that I could sustain it until my graduation in 2015. Since coming to Widener, I had only one opportunity to go back to Sri Lanka. However, sitting here now watching some brothers play video games, I feel like I am not so far away from home after all. To contribute to the Annual Fund and enrich the undergraduate experience of other Tekes like Viraga, click here. I’VE ALWAYS SEEN POTENTIAL FOR GREATNESS in the people, situations and things around me. That’s part of the TKE mindset, as you know. Of course, the key to making a difference in this life is knowing how to turn that potential into reality. So when I first heard about the Better Men for a Better World Courtyard planned for our new international headquarters, I immediately knew I wanted to donate funds toward its completion. What better way to celebrate our Fraternity’s values and ideals than to create an inspirational space where members can view our most cherished symbols and reflect on their true meaning? I purchased a brick for the Courtyard floor, then made an additional commitment to sponsor the Esteem Column (one of three in the room). Indeed, I felt so strongly about the project, I actively sought the support of other Tekes – notably from my own chapter, Epsilon-Omicron. To date, one Frater has generously matched my gift by investing in the Charity Column, and still others have purchased 14 bricks in the “Triangle Club” section of the floor, which will be grouped together to show the rich heritage of brotherhood passed down from founders and fathers to their sons and even grandsons. I didn’t have to "sell" them on participating. When I made them aware of the opportunity, they shared my enthusiasm and signed up right away because they, too, understand the significant impact the Courtyard will have on our members for generations to come. Since my initiation nearly 45 years ago, I have proudly embraced our Fraternity’s mission and Declaration of Principles – words every true Teke strives to live by. Still, in this fast-paced, high-tech world, it can be easy to forget the incredible power of the ideals we have pledged to uphold and promote. The Better Men for a Better World Courtyard helps bring them to life – with tangible symbols that are as solid and real as the foundation our new headquarters now stands on. Over the years, and especially since founding an alliance of family-owned food-service distributors a decade ago (with a total of $14 billion in sales this year alone), I've felt enormously privileged that my professional success has permitted me to give back by contributing to a number of worthy philanthropic causes, including leadership programming, faculty stipends and collegiate scholarships benefiting TKE as well as my alma mater, the University of Houston. I was also honored to be a founding member of the Life Loyal Teke program, established during my tenure as Grand Prytanis (2001-2003). This Courtyard ranks high among the legacy projects I've invested in during my lifetime. Best of all, and thoroughly consistent with TKE's time-honored traditions, there are options that fit every Frater's budget, starting as low as $100. This way, Tekes worldwide - even those who may never have the opportunity to visit headquarters – can be a part of our history, part of our permanent home. I therefore urge every Frater reading this, as well as family and friends of members in our beloved organization, to consider contributing to the Courtyard today. Encourage other members to do the same. There are a limited number of opportunities to participate – so it's only a matter of time before this project's potential for greatness is fully realized. I look forward to that day: to visiting the Courtyard and reading the names of all those who, like us, share the vision that TKE truly does create Better Men for a Better World. "Tau Kappa Epsilon offered me, and continues to offer me, so many opportunities, from friendship to service to leadership. TKE has given me role models and the opportunity to be a role model, it’s given me a network of friends across the world, and it’s given me the chance and the tools to succeed, and a support net to help me get back up again when I’ve failed. The older I get, the more clearly I see how my TKE experience has benefited me in so many other settings-in my relationships, in business, as a teacher and coach, in community involvement-and how it’s enriched my life. Because I’ve gained so much, I feel obligated to give something back, no matter how big or small the donation. My involvement with the Charles R. Walgreen Jr. TKE Leadership Academy has been especially transformative. Serving as a facilitator has challenged me, helped me mature as a leader, forged life-long friendships, and enabled me to impact and support hundreds of fraters. But most of all, it’s stoked my optimism for the future of our fraternity-each time, I leave the Academy hopeful and re-energized. That’s why I give to the Academy: because I’ve been fortunate enough to see first-hand what a difference that program makes, and I know it’s worthy of my financial support. I also give to my home chapter, because I want those fraters to know they’re supported, and because I want them to have opportunities I never had. Sometimes my donation feels like a drop in the bucket, but I know that one drop is better than no drop, and I know the Foundation pools those drops and puts them to their best use. I also like knowing my name will be listed in the donor section of The Teke Magazine, because I know if it is, there’s a chance one of my friends will see it and say, 'You know what? If he can give something, so can I.'" "Receiving a scholarship through the Foundation helped me realize what kind of impact the Fraternity has had on others – when they made it a priority to give back and impact my life." Frater Peter said he had little interaction with members outside his chapter, but receiving this scholarship made him realize the scope of the Fraternity. "Many times we see our fellow chapter members so much, we forget we are a part of the TKE Nation," said Holland. "The recognition of my hard work and this reminder were much more important than the amount of money." And the acknowledgment was well deserved. Frater Peter has posted a 3.85 Grade Point Average in a double major (Economics and Management), been the Chapter Crysophylos, and been involved with several other organizations while on campus. He will graduate in May 2008 and has already secured a position at KPMG – Detroit, one of the nation’s leading accounting firms. Frater Peter said TKE has played an important role in getting him to the next phase of his life. "I will miss college and the Fraternity, but TKE has taught me some very important lessons in leadership. One of the best, I believe, is how to interact and communicate with a diverse group of people. I feel fully prepared and confident walking into my first job." Few things in life last as long as the Tau Kappa Epsilon bond. It's there when your Fraters support you at life's defining moments and challenges. It's there when you build a career from the skills you honed in your chapter. It's there when you tell an old story for the thousandth time. And it's strongest when you give to preserve it for future generations. Every of member of TKE has a story to tell about how the Fraternity has made an impact on his life. Are you a scholarship or grant recipient? Did your chapter benefit from a program supported by a Foundation grant? Have a special reason why you choose to donate to the Foundation? Please tell us about it!